On October 29 Petroleum Development Oman (PDO) announced it had contracted Omani-Japanese joint venture Marubeni Consortium to develop a 100-MW solar photovoltaic (PV) power plant. The facility, to be developed under the independent power producer (IPP) model, will generate power for PDO’s own use and will be located in the Amin region of southern Oman, where the company has operational concessions. Under the terms of the agreement, the Marubeni Consortium – comprising Japanese multinational Marubeni and the Oman Gas Company – will undertake the design, procurement, construction, commissioning, financing, operation and maintenance of the plant, with PDO contracted to be the sole buyer for 23 years. 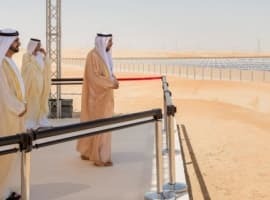 The announcement follows the launch of the first stage of another of PDO’s renewables plants in February, a 1000-MW solar facility at Amal in the country’s south. This project combines both renewable and non-renewable energy sources, using solar power to create steam, which in turn is used to extract oil from nearby deposits. The use of steam injection is expected to extend the life of the field, which has been in operation since 1984, with the enhanced oil recovery technology allowing for the extraction of deposits too difficult or too costly to access though conventional means. The PDO developments come amid further nationwide plans to expand renewables’ contribution to the energy mix. In May the state-owned Oman Power and Water Procurement Company (OPWP) unveiled plans to develop six new projects – three solar and three wind – by 2024, with a combined capacity of 2650 MW. All six are to be IPPs: the three PV parks will be located at Ibri, Manah and Adam, two of the wind facilities at Dhofar and one at Duqm. Related: What Explains The Sudden Plunge In Iranian Oil Exports? With the government having committed to a policy of ensuring at least 10% of electricity output is produced from renewable sources by 2025, OPWP is ramping up efforts to meet this target, Yaqoob bin Saif Al Kiyumi, the company’s CEO, told OBG. “That will mean more than 2500 MW of installed renewable capacity by 2025,” he said. OPWP is to undertake a wind resource assessment programme to more accurately assess available resources at specific locations, and is monitoring the development of alternative technologies to expand the range of generational and storage options in the future. In October the company also issued two tenders for consultancy services to develop IPP projects that assess the potential of converting waste into energy. 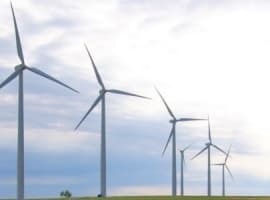 These projects are aimed at both diversifying energy sources and reducing pressure on existing landfill capacity, the company said in a statement released in October. In addition to developments in the upstream segment, Oman’s downstream operations are also set to provide greater opportunities for private investment. 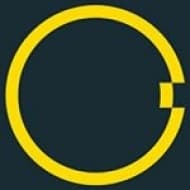 On October 7 state holding company Nama announced plans to partially privatise two of its downstream energy assets, offering a 49% stake in the Oman Electricity Transmission Company and up to 70% of shares of the Muscat Electricity Distribution Company, with both offers open to international operators. The privatisation of the two companies, which have a combined asset base of $3.2bn, is expected to take place next year, with Nama also flagging a partial sell-off of three other of its holdings: Majan Electricity Distribution Company, Mazoon Electricity Distribution Company and Dhofar Power Company. While credit and market analysis firm Fitch Solutions has said the sale of the two downstream utilities are not likely to have a significant impact on Oman’s fiscal deficit, the move shows the government is committed to broadening the base of the economy and increasing foreign direct investment inflows. “The decision to invite foreign investors thus underlines a broader drive by the government, accelerated since the oil price slump that began in 2014, to diversify the economy away from hydrocarbons production,” Fitch Solutions said in a statement released in October. I had the great pleasure of visiting Oman in 1970 the year Sultan bin Said al Said the ruler of Oman rose to power after overthrowing his father in a palace coup to be followed by many visits the latest in 2016. The transformation Oman has undergone since 1970 until now under his enlightened leadership is a miracle. However, despite the building of a superb infrastructure and great advancements in education, medical care and standard of living of the Omani people, Oman’s budget is still dependent on the oil export revenues to the tune of almost 80% with oil contributing 44% to its GDP. Oman’s oil production in 2017 averaged 883,900 barrels a day (b/d) of which 800,000 b/d have ben exported. The oil price crash in 2014 had affected the Omani economy very adversely. Since then, the country has embarked on a massive diversification programme to reduce dependence on oil. 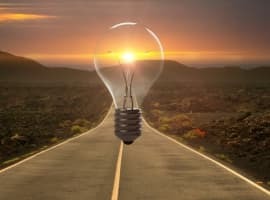 Oman now aims to enhance its use of solar power for electricity generation in order to extend the longevity of its oil and natural gas reserves hence the launch of the first stage of the Petroleum Development Oman’s (PDO’s) renewables plants in February, a 1000-MW solar facility at Amal in the country’s south. Another PDO project is a 100-MW solar photovoltaic (PV) power plant for its own use in the Amin region of southern Oman, where the company has operational concessions. This project combines both renewable and non-renewable energy sources, using solar power to create steam for injection to enhance oil recovery in aging oilfields. In May Oman unveiled plans to develop six new projects – three solar and three wind – by 2024, with a combined capacity of 2650 MW. This is part of the government policy to ensure that at least 10% of electricity generation is derived from renewable sources by 2025. If the goal is to have no useful energy and a crumbling industrial infrastructure, wind and solar can help immensely to meet those goals. Wish that alternative on all of your enemies.